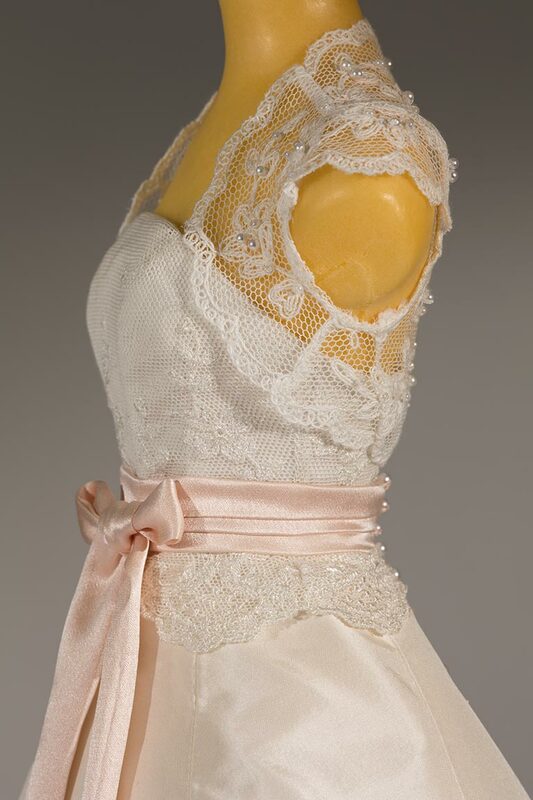 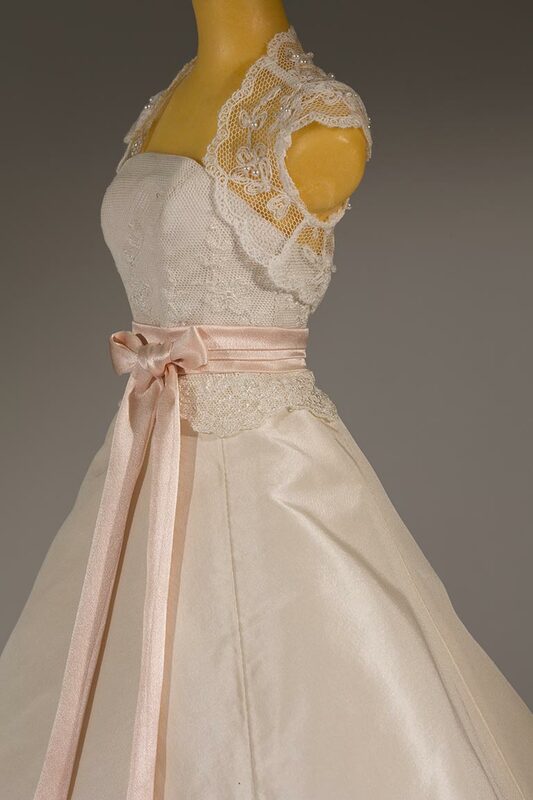 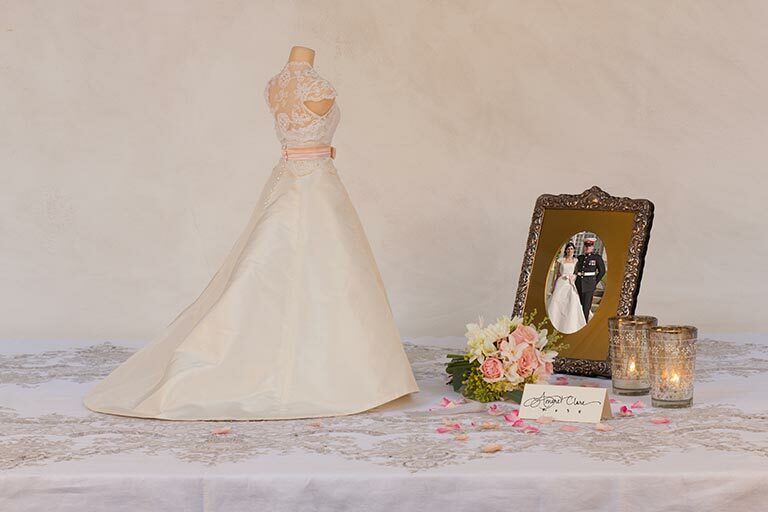 Amoret’s wedding dress was designed and made by Deborah Phipps for her military wedding. 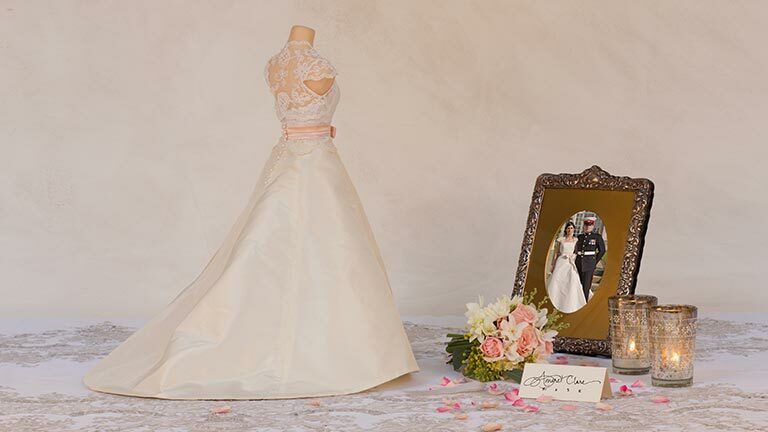 She looked stunning alongside her handsome uniformed groom wearing her oyster silk taffeta dress, with a lace overlay to the bodice, together with a silk satin shell pink sash and bow. 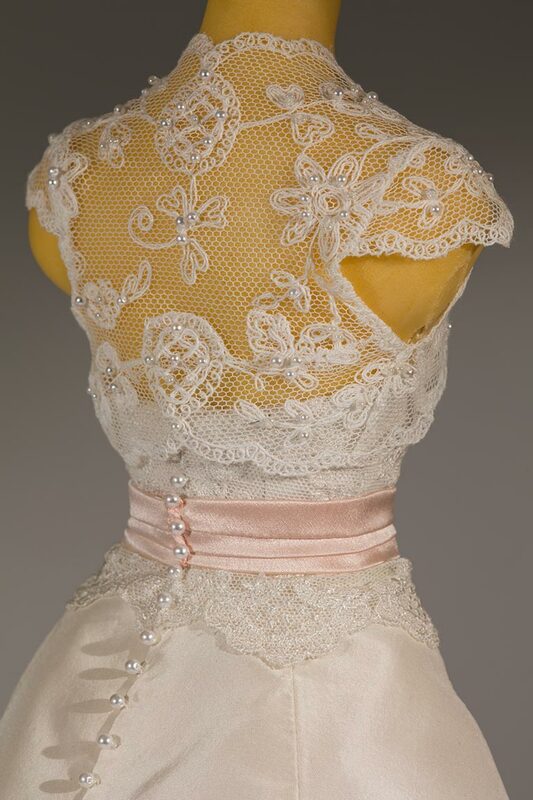 The biggest challenge for making Amoret’s dress in quarter scale was finding the right type of lace to represent the full-scale lace bolero; not too heavy, and not too large a pattern, or it would appear out of balance, but the perfect lace for the miniature bolero was found after a bit of a search. 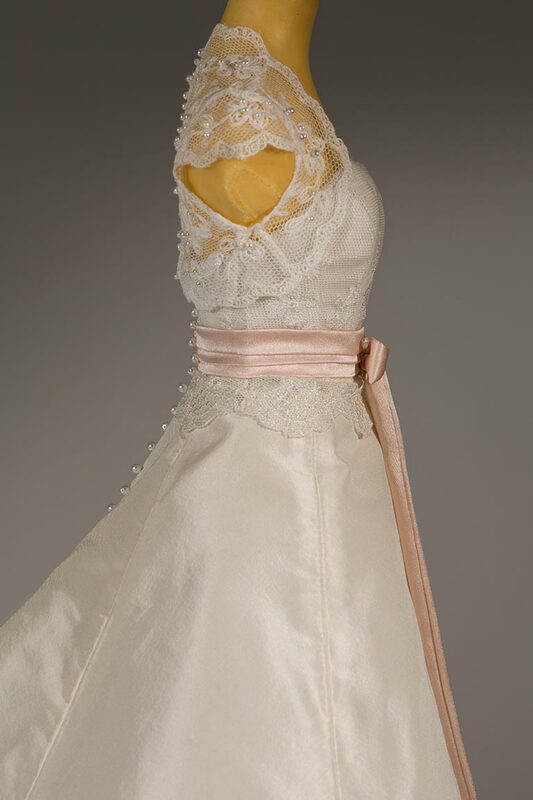 The silk taffeta for the dress itself was in a lighter weight than the original dress to ensure that it remained delicate in the smaller scale. 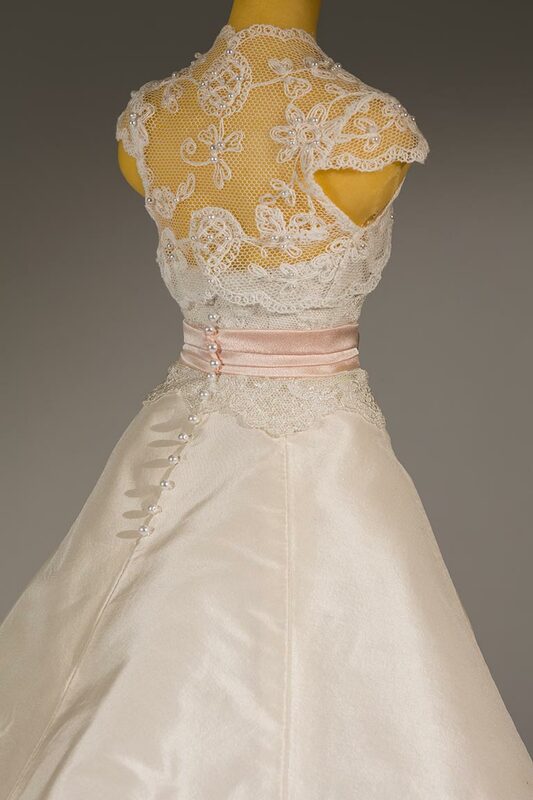 Amoret was delighted when she received her wedding dress in quarter scale “Everything down to the material, the ribbon, the bolero, was an exact match to what I was wearing on the day. 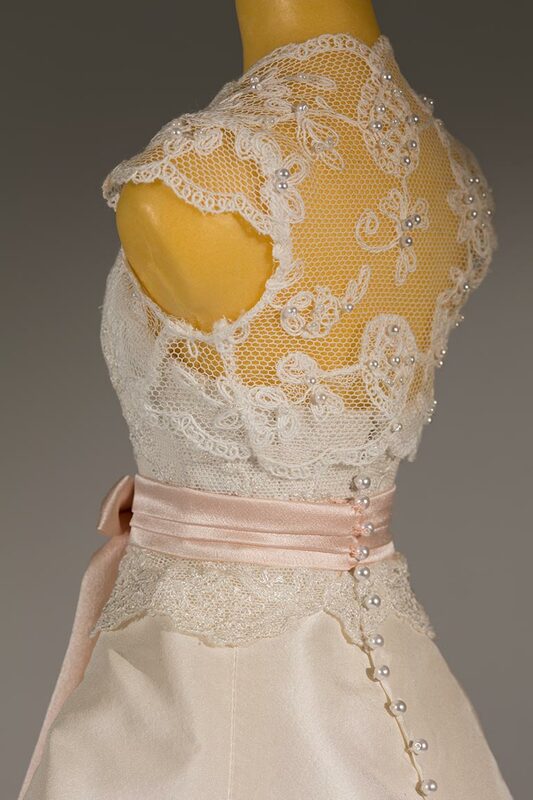 It’s perfect”.